Although we didn't have an international conference this year, it's been an active year for the Foundation in all its many forms. Book groups are the mainstay in the US, UK and also, new this year, in the Netherlands. The Dartmouth, Tri-state and Cape Cod chapters meet regularly - in the case of Dartmouth on the first Saturday of each month. In the UK we met in February at Chalgrove near Oxford for a discussion of Pastoral. This was our “Hartley Magna” for the day. The day included a visit to an old manor house, the nearby airfield and the back room of the Red Lion pub which accommodated the large number of attendees. In May we met at Kew Green, west London, for a discussion of Most Secret. Amongst those attending was Dr Mike Morrogh, now retired from Shrewsbury School, who lives in that area. The Fleet Air Arm Officers Association (FAAOA) run gliding scholarships for 17-21 year old candidates and the Foundation decided to support one of these (Nevil Shute gained his glider pilot's certificate at the Yorkshire Aeroplane club in 1930) The FAAOA selected a candidate, and scheduled the training week to take place at RNAS Merryfield in August. However for technical reasons this airfield could not be used and a planned move to Lee on Solent was not feasible because of logistics problems. So, for the first time in many years, this Scholarship programme had to be postponed My contact at FAAOA, assures me that the scholarship will take place during the Easter holidays in 2018 and our donation will be carried over to next year. Our thanks go to Laura Schneider, Nancy Anderson and Andy Burgess who run the US, Oz and UK lending libraries respectively. Full details are on the Foundation website. This took place on 22nd -23rd September and was based on the Beaulieu river with 15 people attending including a number of first timers. On Saturday we met at Exbury house where John Stanley took us on his guided tour relating to the shooting down of the Exbury Junkers, which is the central event in Requiem for a Wren/Kindling. On Sunday the venue was Bucklers Hard which is full of shipbuilding history and was a hive of activity in the build up to D-Day, After a visit to the museum and other attractions, we took a 30 minute cruise on the beautiful Beaulieu river, followed, of course, by a cream tea. We were lucky – the sun shone throughout the weekend ! A major event this year was the publication of Richard Thorn’s biography “Shute: the engineer who became the prince of storytellers” This is a very well written biography with impeccable research, setting Shute’s life and writing in the times through which he lived, with great detail of his life and travels during his Australian years.1950-60. Andy Burgess’ review is on the website. A member of the Dutch book group brought in an article from the Dutch women’s magazine, Libelle, about the wartime experiences of Carry Geysel-Vonck on which Shute based the story of Jean Paget in “A Town like Alice”. Joost has kindly translated the article into English and it will be on the website very soon. Please do let Joost have news of your Shute activities. He is always pleased to hear from you. On behalf of the Foundation Board I wish all readers a happy and peaceful New Year. 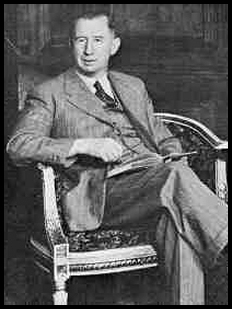 Beal Fowler has done some research on Nevil Shute's visit to the US in 1947. He wrote to Fisk University and got a reply. It is pretty slim, but appears to be all that they have. His visit coincided with the end of their term, apparently, so any later information would not be forthcoming in this newsletter. One other place to inquire, which I will do, is the Nashville newspapers. In my search for news of Nevil Shute's 1947 visit to the US, I found two more articles. The first, by Walter White in the Akron Beacon Journal, took my breath away. Wow. It is powerful. The second, in the Philadelphia Inquirer, follows an interview with Shute. Save the date: By popular demand!!!! *It will most likely be April 6-8, 2018. *It is open to anyone. *Hanover is accessible from Boston, MA. Excellent and affordable transportation is readily available. *There will be a Registration fee (To Be Determined). This will cover various expenses associated with the weekend (such as but not limited to - venue, some meals, coffee/tea breaks, Welcome Reception, Banquet). ***It is four months away so check your calendars. If you are interested in Speaking or Presenting, please contact me. There are a few speaking spaces still available. If you have any questions or comments, please contact me. There will be further information as soon as details are confirmed. FROM THE EDITOR The first Newsletter in 2018. I hope that all Newsletters this year will be as interesting as this one. So please send me copy. From the Netherlands, where a big storm just came in from the North Sea, all the best and see you next month.